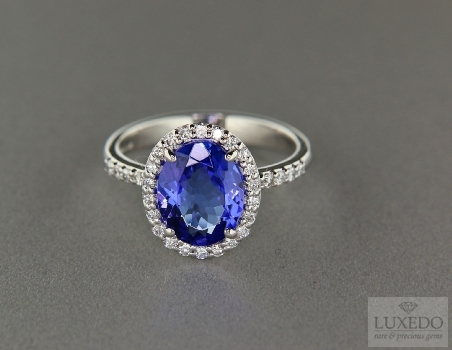 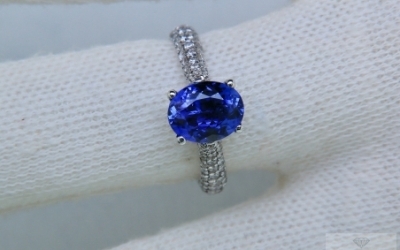 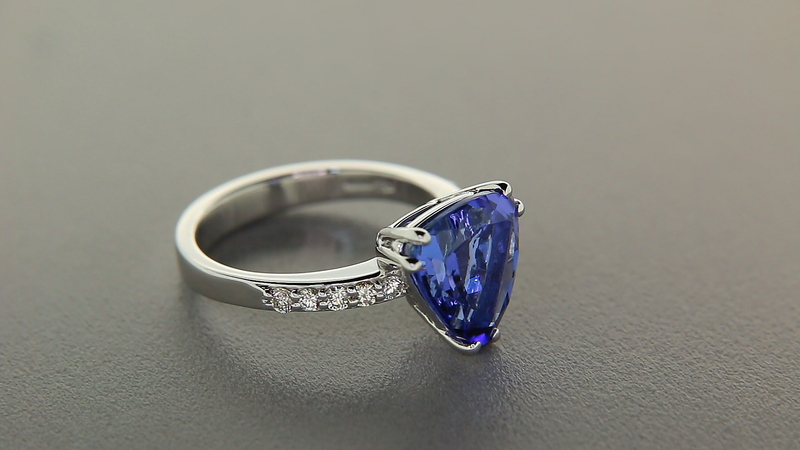 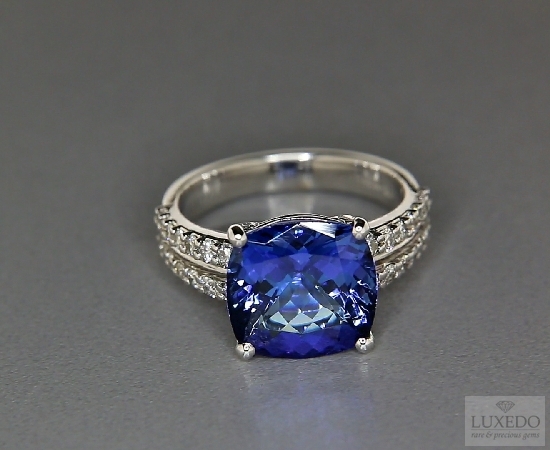 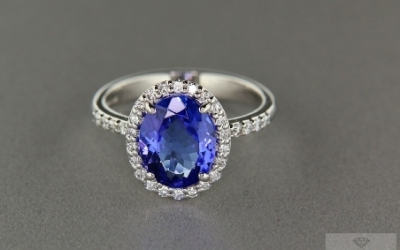 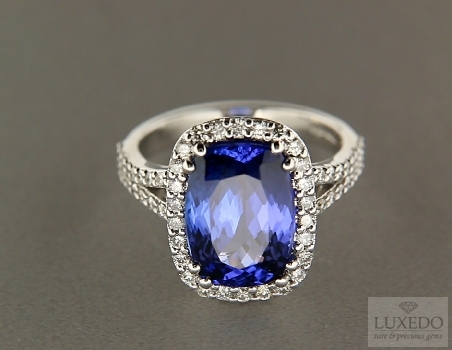 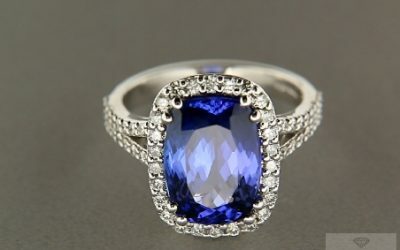 "It is said that Tanzanite is like Sapphire would like to be"
Someone says that Tanzanite is how sapphire would like to be It is definitely a rival of the Sapphire for its intense blue colour. 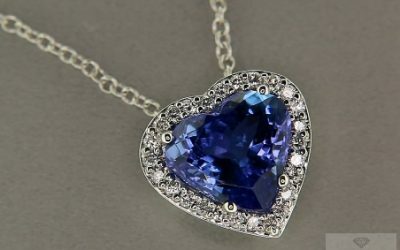 Many became aware of its unique beauty so that mines are being depleted. 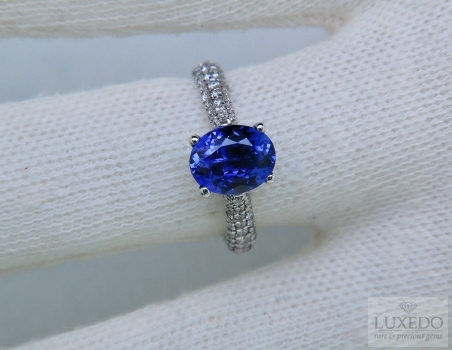 This gemstone is mined only in Tanzania and is becoming increasingly rare. 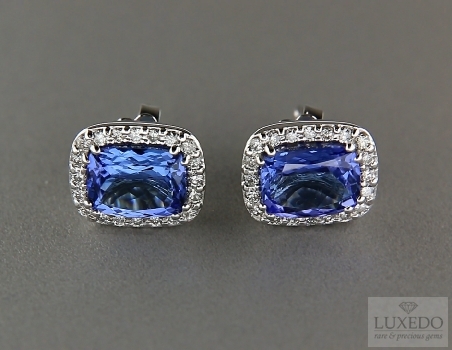 "Colour is fundamental, the most vivid blue and violet blue are the most valued." 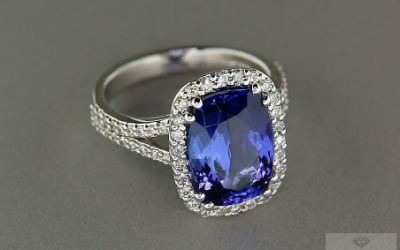 Tanzanite is an unusual variety of the zoiste mineral that was very recently discovered, in 1967, near Arusha, Tanzania. 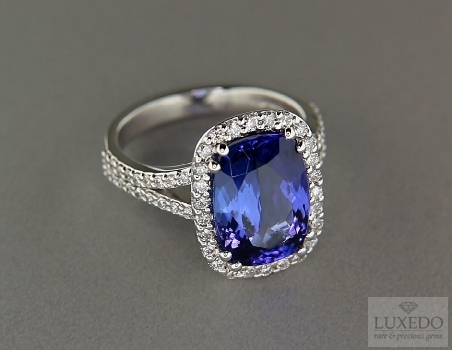 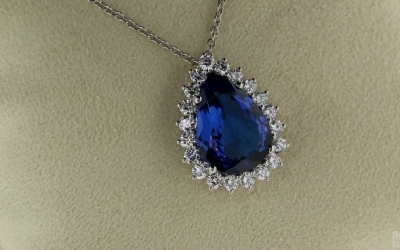 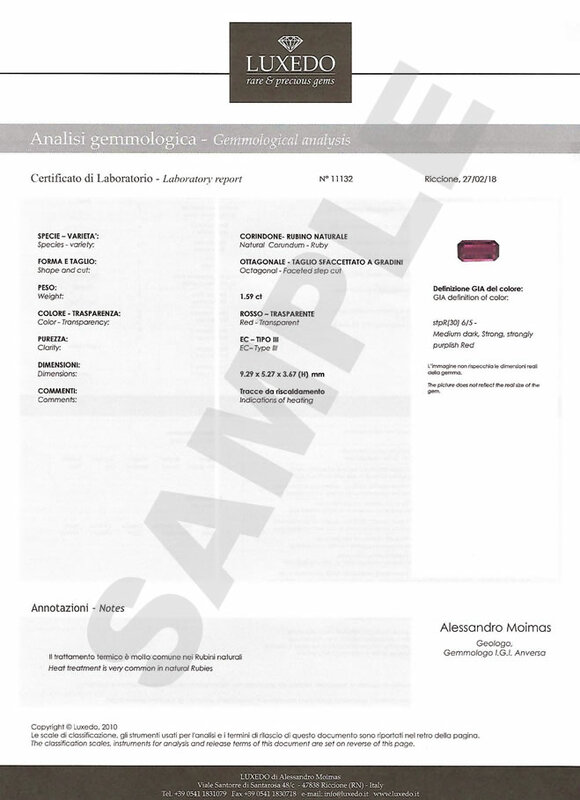 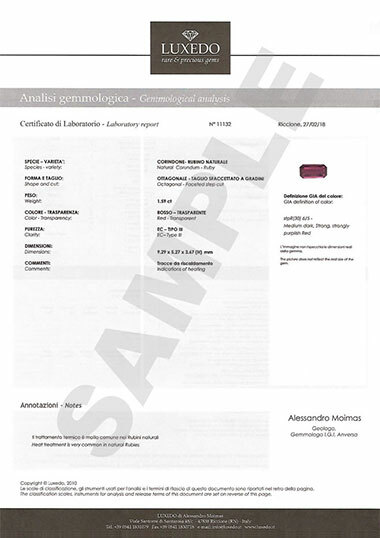 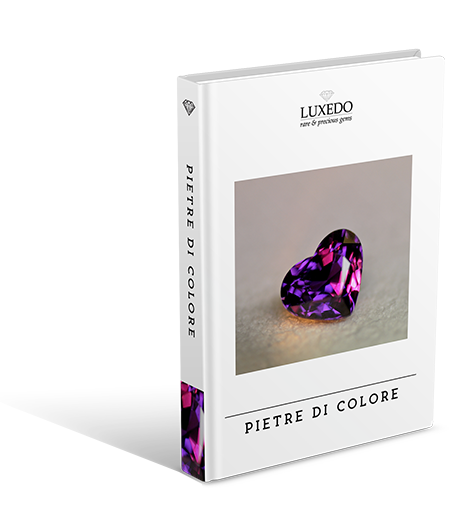 This gemstone is characterized by a blue colour, often with a purplish hue. 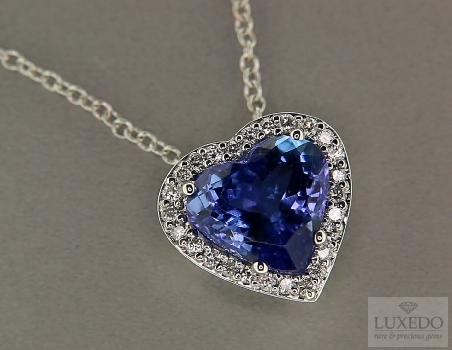 Its value depends on the shade and saturation; blue is highly valued whereas the paler colours like pale lavender are less valued. 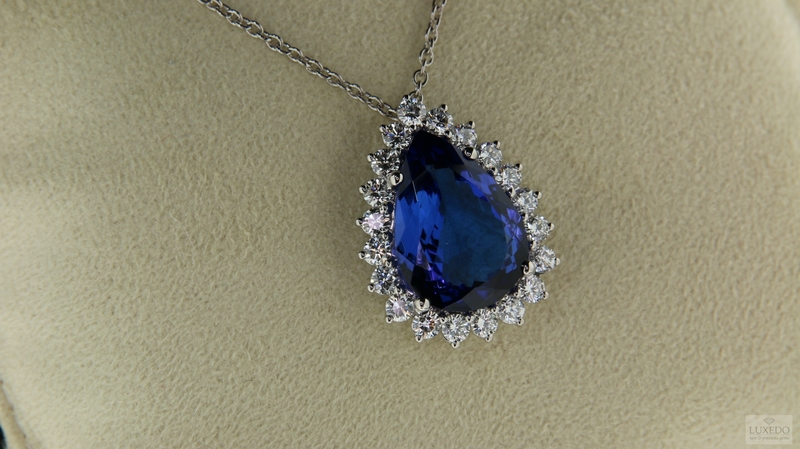 Its value also depends on its rarity as it is found in very limited quantities and almost exclusively in Tanzania where it seems that the main mine is being depleted. 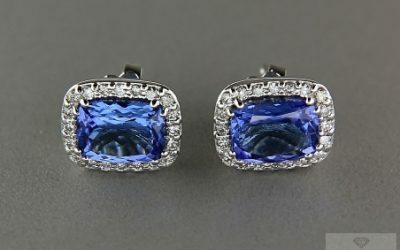 Just before its official discovery, a Masai warrior showed up at the office of a renowned gem cutter in Nairobi with a piece of blue-violet raw material of over 10,000 carats . 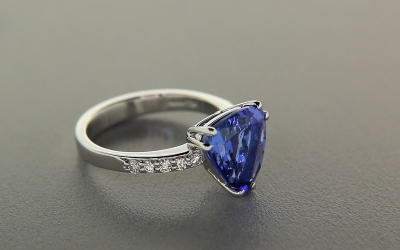 The gem cutter dismissed him thinking it was glass. 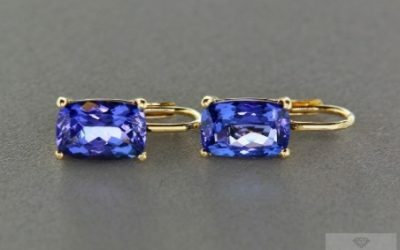 Subsequent events proved that he had refused a huge fortune as in fact the material was later called Tanzanite by Henry Platt, the vice president of Tiffany in honour of the country in which it was discovered. 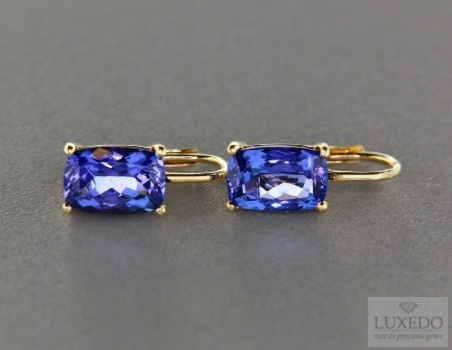 Some blue-violet gemstones are found on the surface but their colour is due to the warming of the equatorial sun. 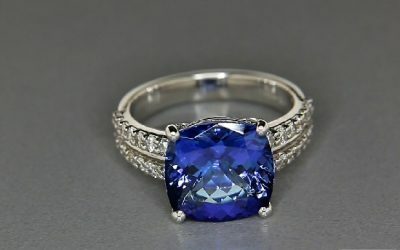 Tanzanite which is extracted from the ground on the other hand, presents brownish grey tinges which are then removed by heating the raw material.